As the term comes to a close, I would like to wish you all a safe and relaxing holiday. I hope you get a chance to spend quality time together to talk, dance, sing and relax. 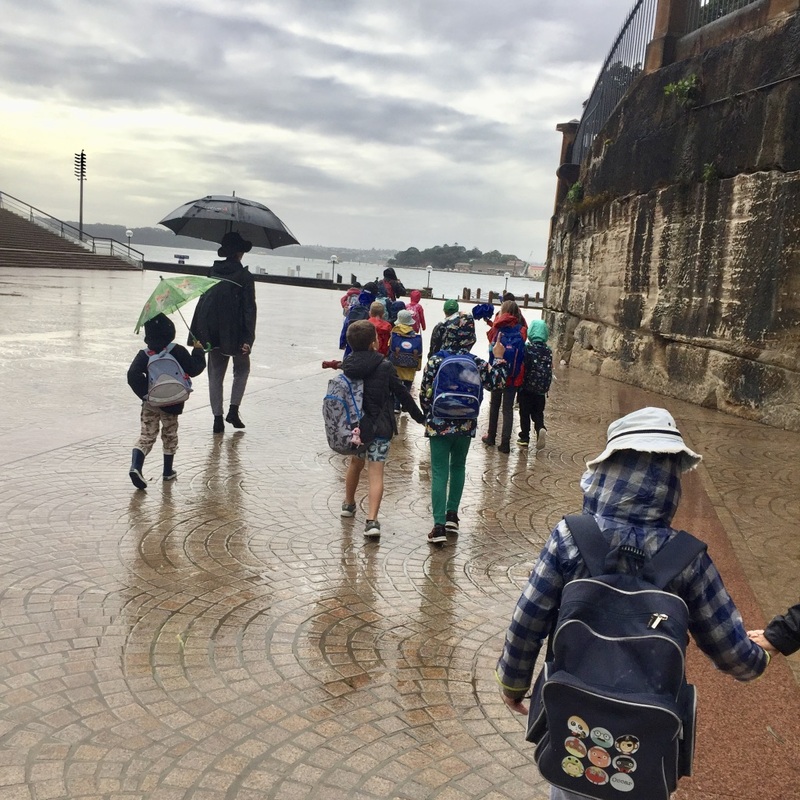 The holidays are a time for parents, carers and children to reconnect and recap on the learning that has taken place at school throughout the term. Many of the presentations that take place in the classroom are often structured around their intention. When children request to start a project, build a model or organise a community event, we ask the question why? 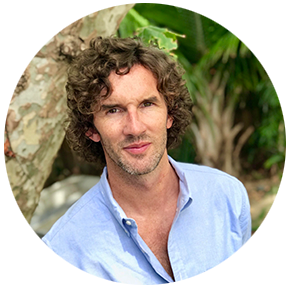 On a daily basis, as I wander in and out of classrooms and chat to children, I see students trying to change the world. 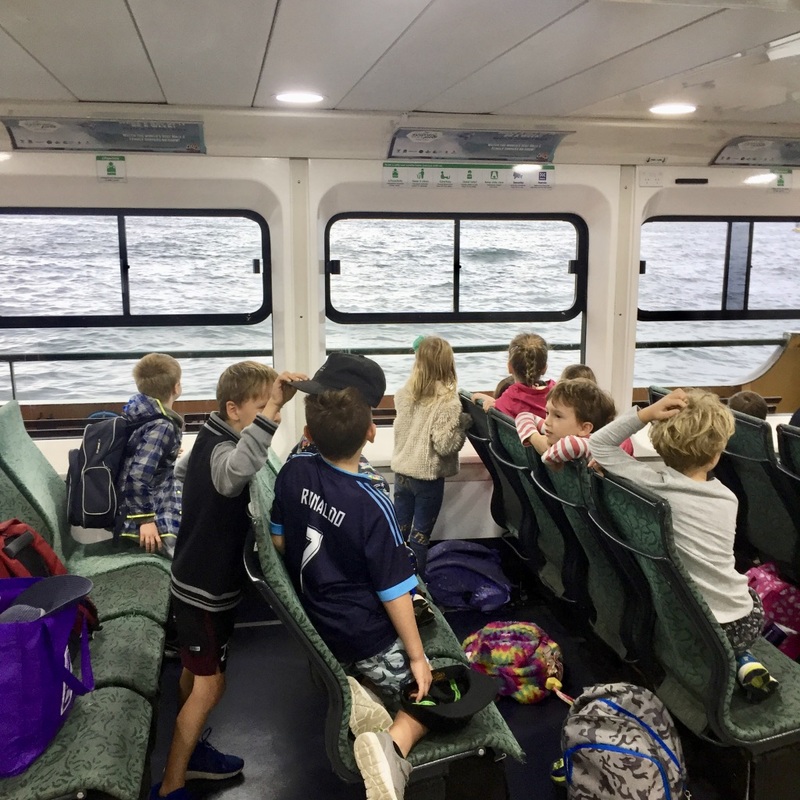 From children in Stage 3 organising fundraisers, to our Stage 1 children who are trying to save the oceans, what we are cultivating are life-long learners who feel a responsibility towards the well-being of our environment. These moments of magic and independence let me drive home with a smile on my face, feeling reassured that the world is in good hands. Have a wonderful break, talk big, dream bigger, and we look forward to welcoming you back to school in Term 2. 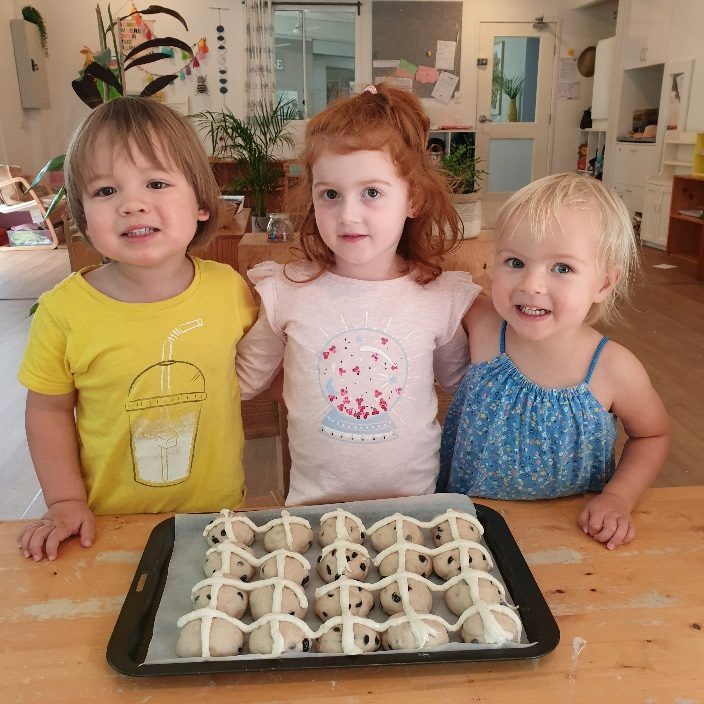 As we come to the end of term one, we’d like to encourage you to try something new over the Easter holidays, baking bread with your toddlers! 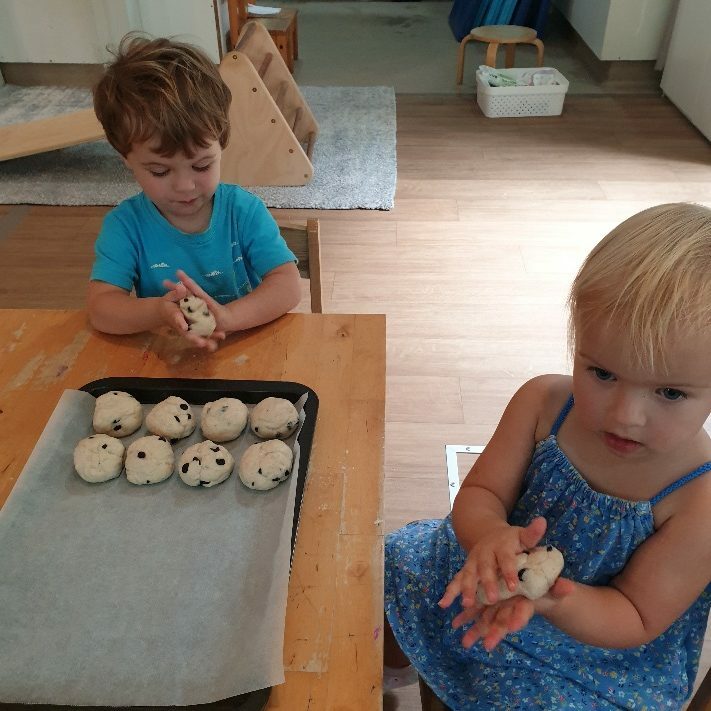 Baking bread is such an enjoyable practical life task that incorporates so many facets of learning; from mathematics and science to fine motor and language. We’ve included the recipe and some handy tips so you can try it together at home! Measure everything out before you start, but don’t get worried if it’s not exact! We have every ingredient set out from left to right ready to be added in order, later in the year we will start to talk about measurements, for now, we’re labelling utensils and ingredients. It’s going to get messy! The sooner you become okay with this the more fun it’ll be! 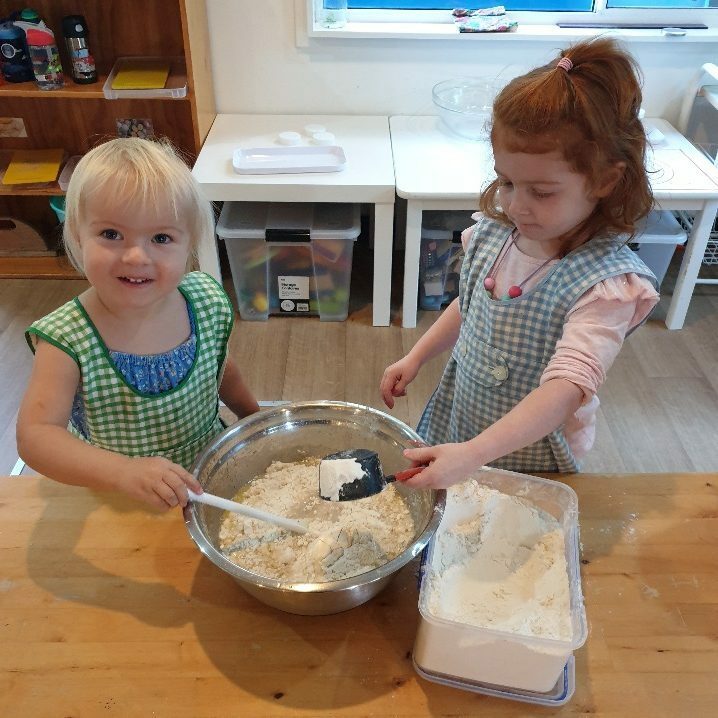 We’ve practiced cleaning up with dustpans, cloths and spray bottles after too, Encourage the clean-up it’s part of the baking process. 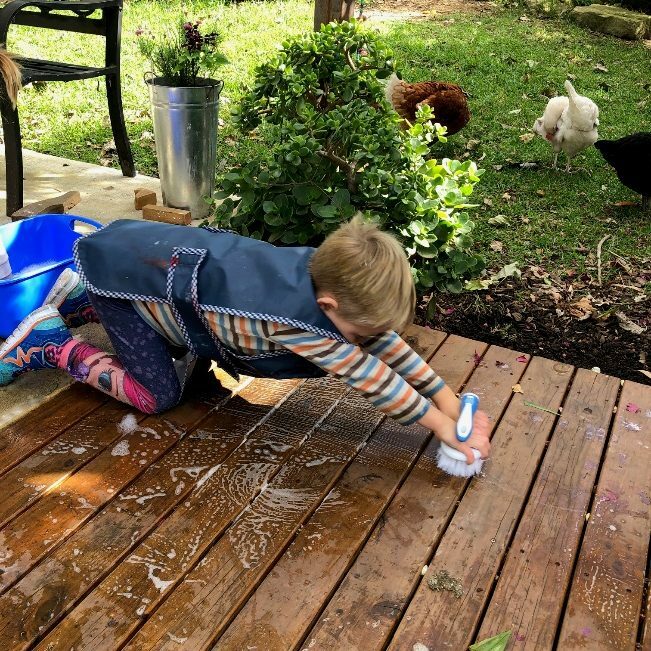 Empower your child, give them the confidence to take the lead, step in if asked for help but try and observe too, you’ll be surprised with how capable they are! Keep it simple, but consider adding seeds, currants, spices, herbs and different flours in the future! 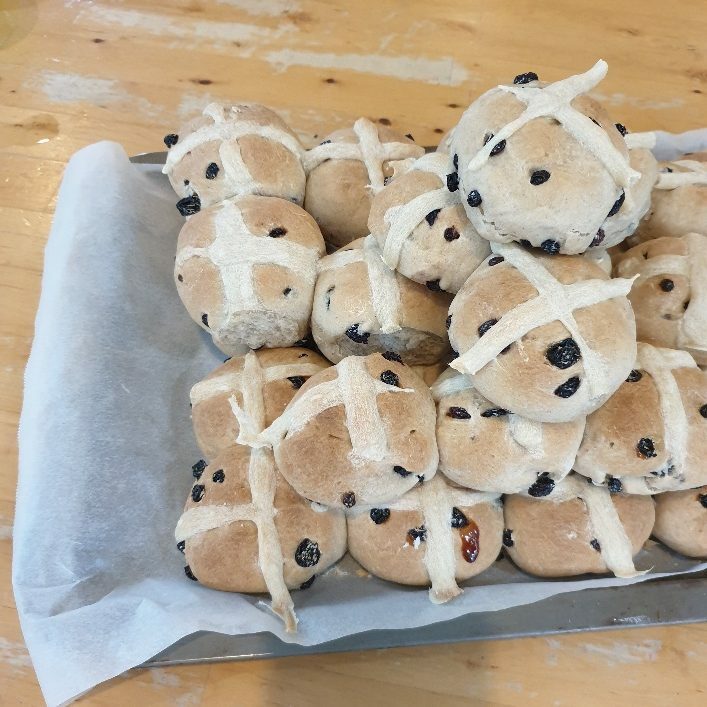 You can also make pizzas, bread rolls, loaves and breadsticks! Pre-writing and writing activities have been a focus in the Burbangana classroom. 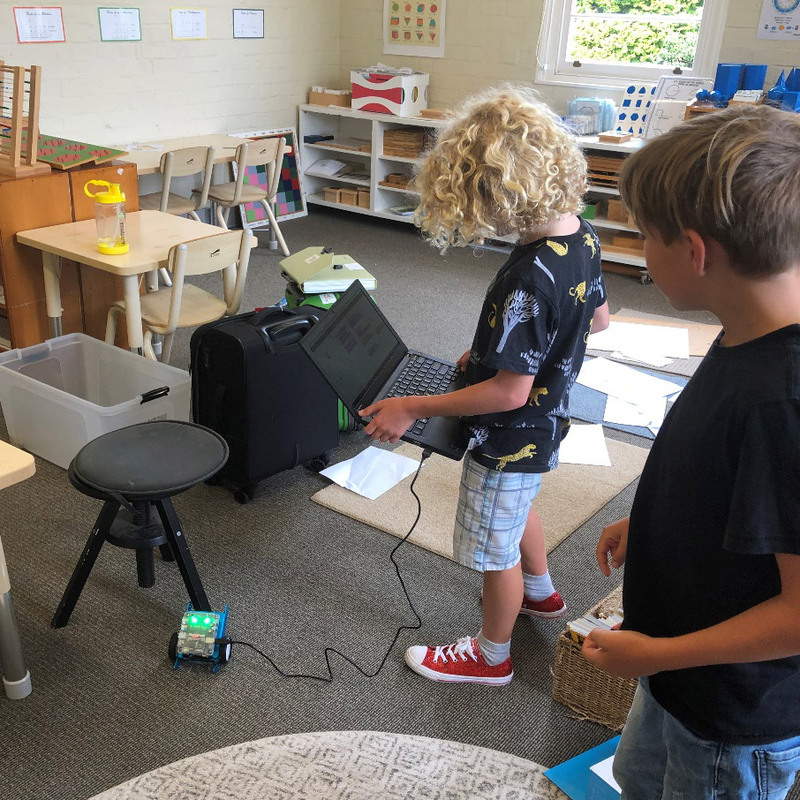 The older children in the group are now understanding their role in the classroom environment and are developing into wonderful role models for our younger children. The younger children are witnessing their older peers writing and they want to do the same. 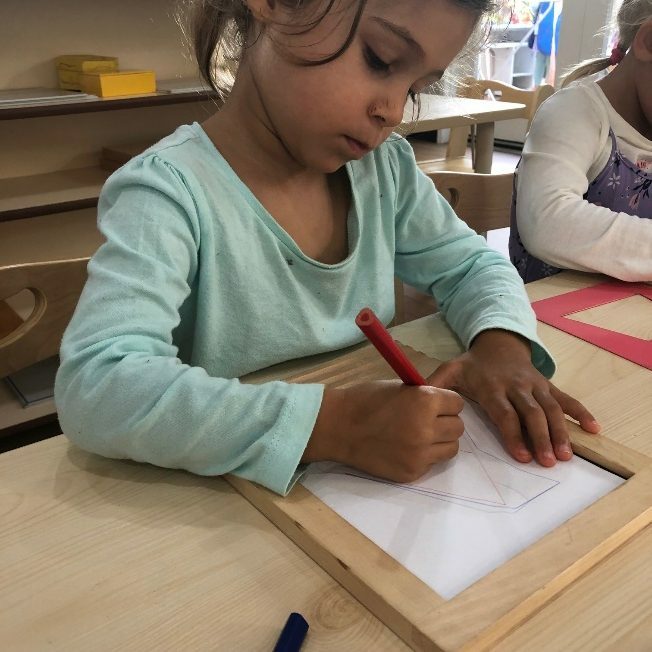 Learning to write in the Montessori classroom begins with practical life activities that prepare little hands, strengthening muscles and coordination before moving onto the language materials. Introducing the Metal Insets is a delightful way for the child to prepare for writing. How does this material aid a child on their way to writing? 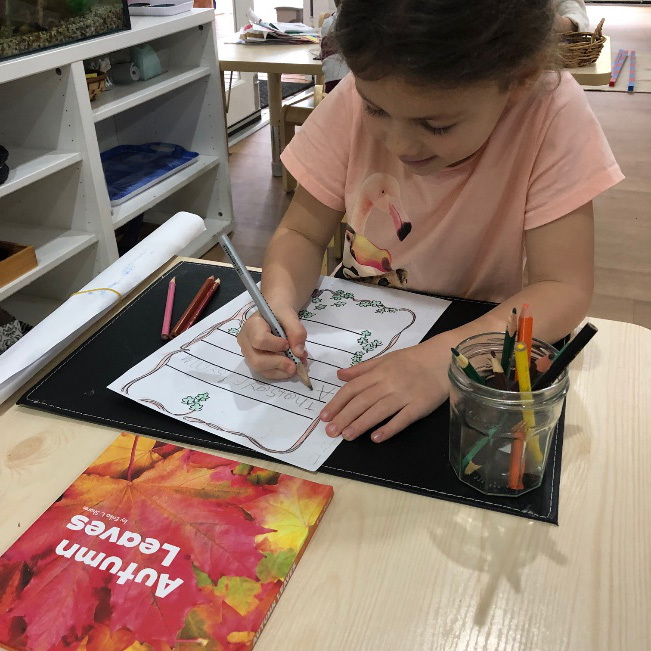 Holding a coloured pencil to carefully trace shapes helps a child develop the fine motor control needed to write small letters. 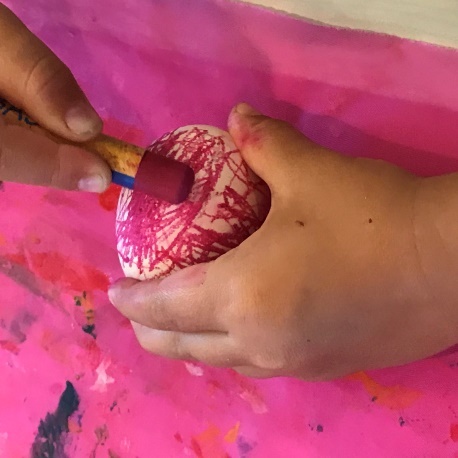 Creating patterns and designs is a secondary goal, but also increases a child’s ability to manipulate a pencil whilst developing their ability to concentrate at the same time. This work has many variations and possibilities which captures the child’s interest for an extended period. 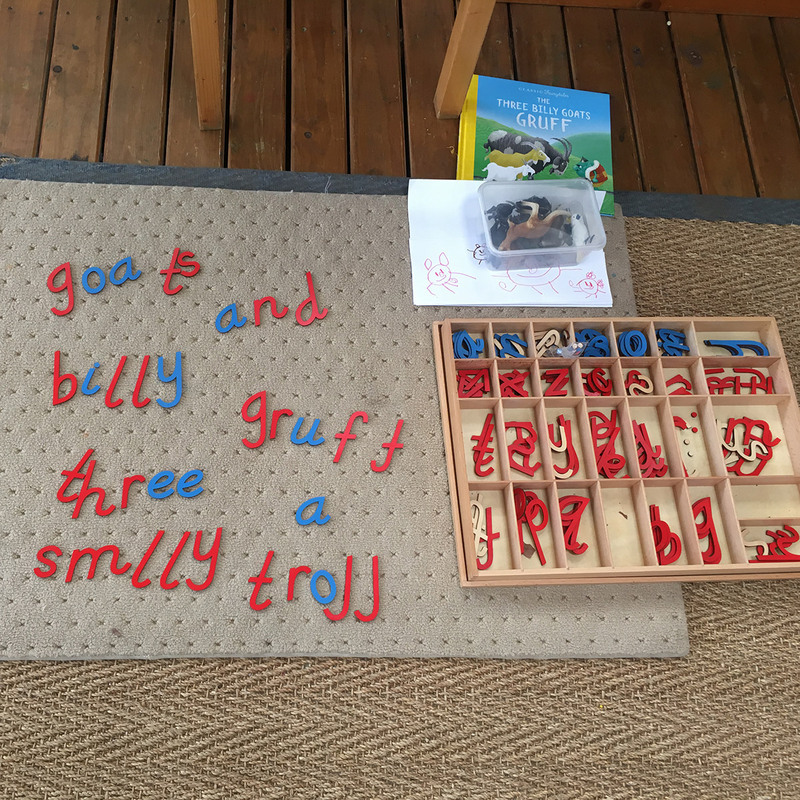 Children are learning letter formation using sandpaper letters and chalkboards in conjunction with the metal insets to develop their writing skills. We can’t believe this term is over. The children have grown so much in this time and they are now a strong little group of friends. 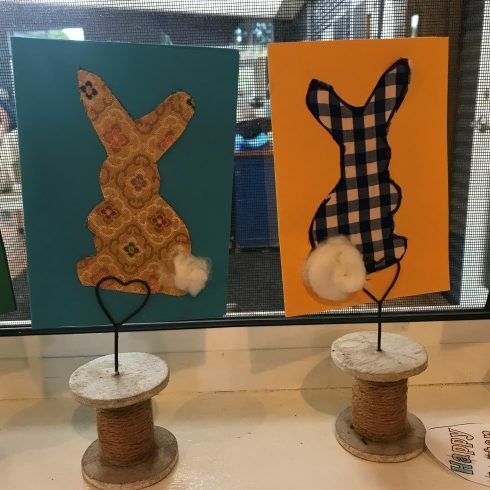 This week , ofcourse, has been about celebrations and the children have been making wonderful old fashion Easter craft. 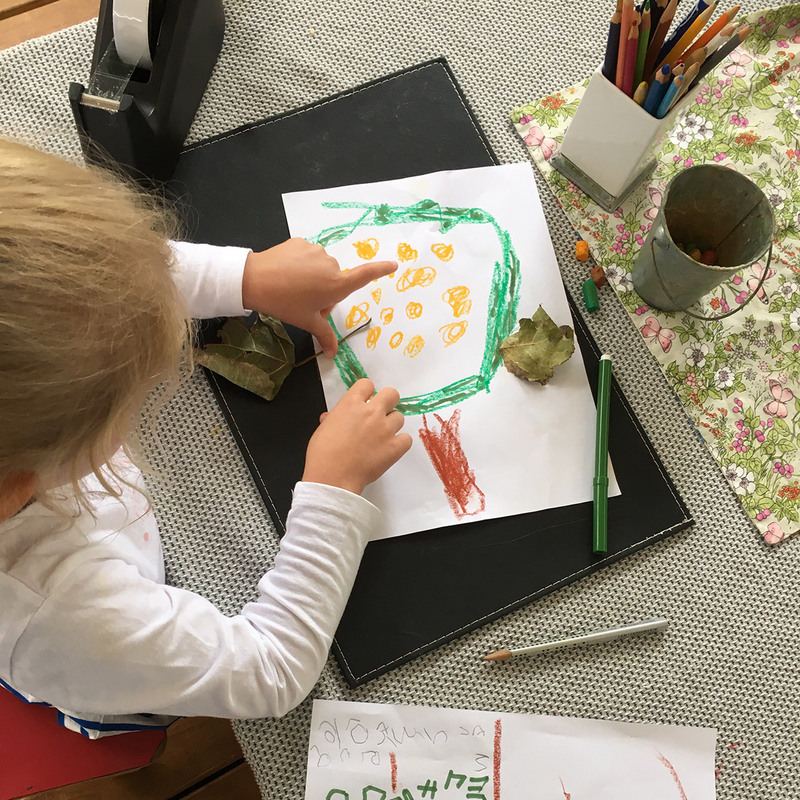 Children are relating to themselves as more global citizens as they work with the concepts of different countries and different celebrations. This is small children ‘belonging’ to their world. “These little oranges are sour! 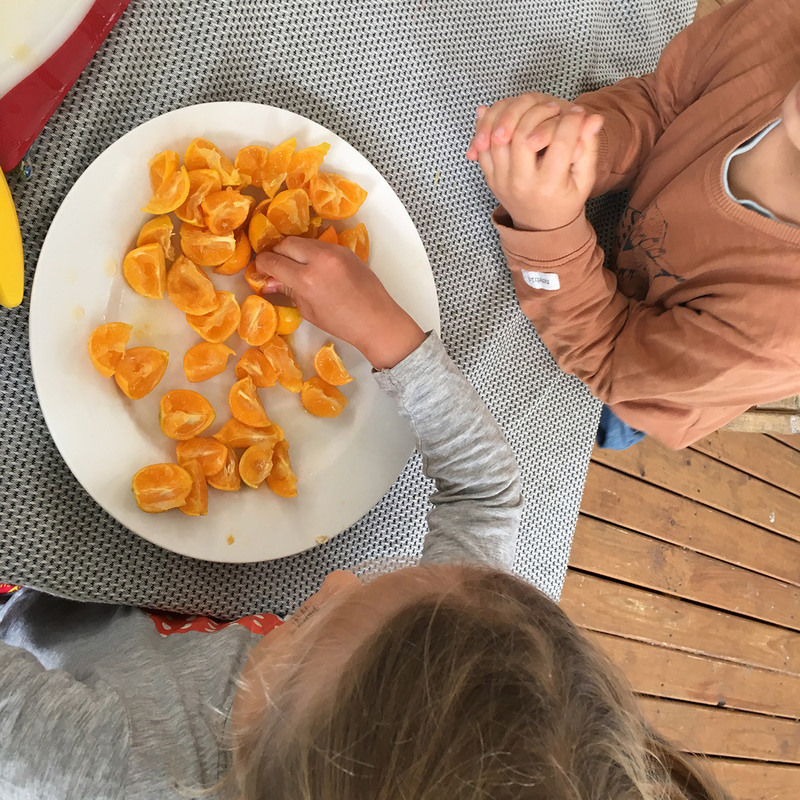 What can we do with them?”…… make kumquat marmalade of course! I also wanted to share the beautiful moment I noticed the odd wearing of the gumboots. Turned out “we are sharing because we didn’t have enough gumboots for everyone”. Priceless! Happy Easter everyone. Take care of each other and have a wonderful break with your families. 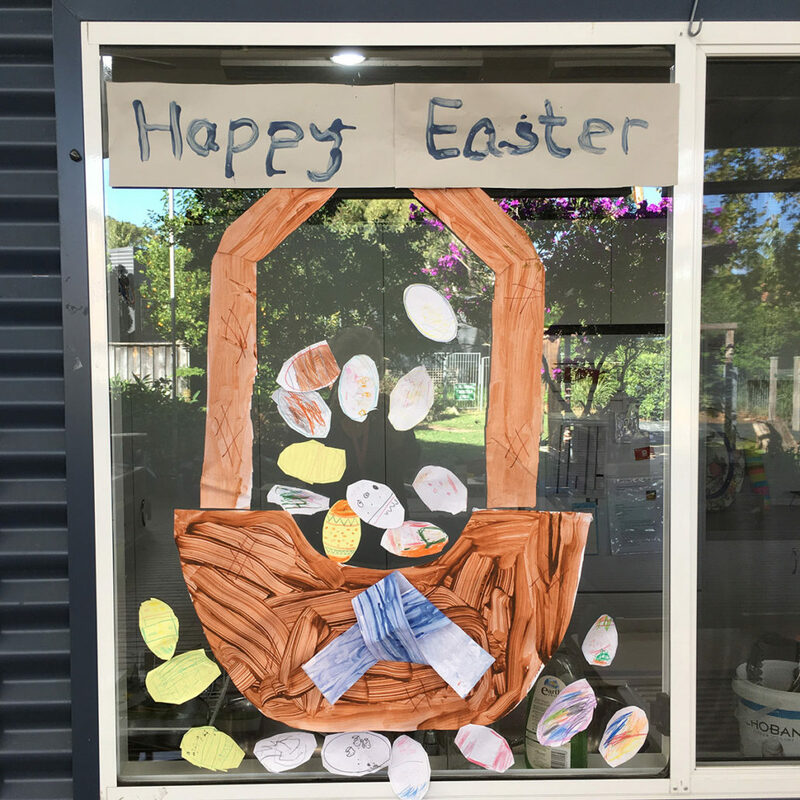 Happy Easter from the Kindergarten children! 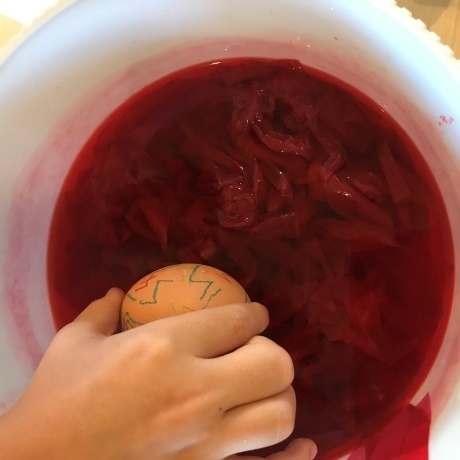 We have been busy making cards, drawing Easter eggs and making omelettes. 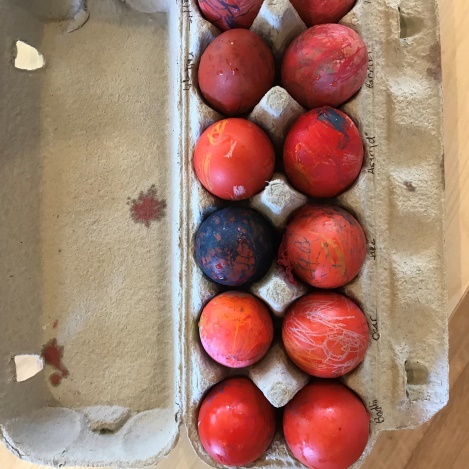 The chickens are still laying so many eggs and we love checking their egg boxes and collecting them. 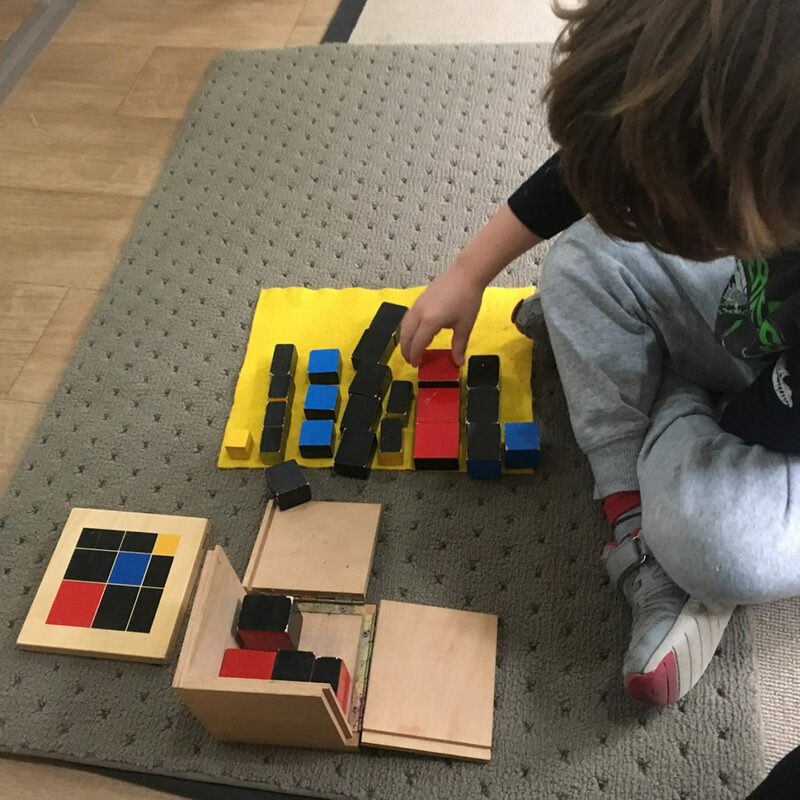 Sensorial materials have been popular, with children choosing the constructive triangle boxes. 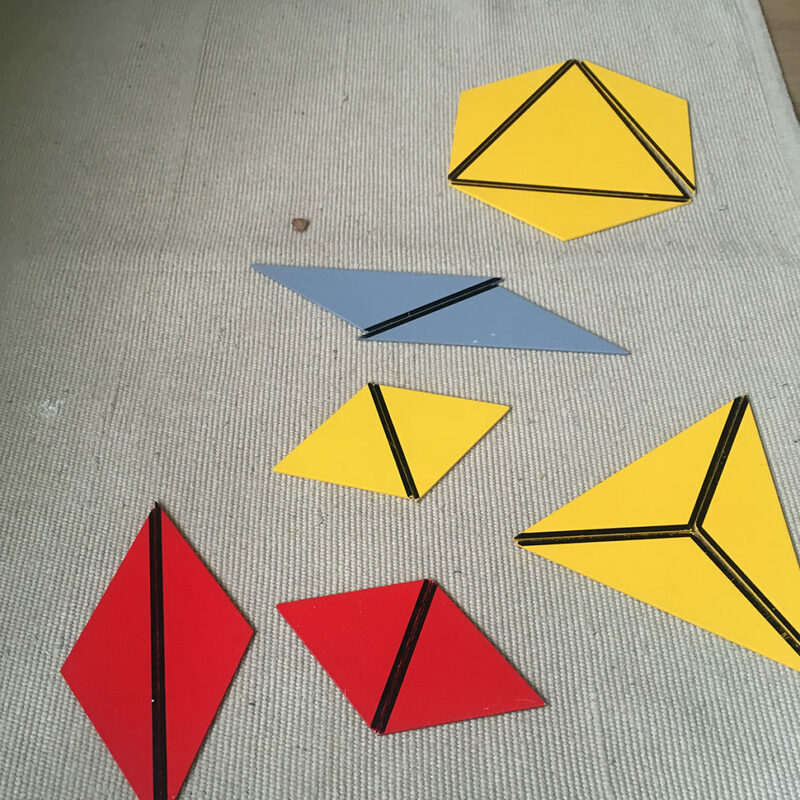 These boxes contain many different types of triangles which the children place together to make large triangles. 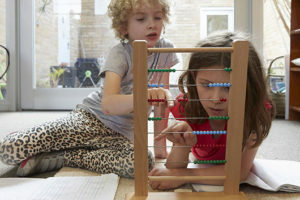 The trinomial cube has been used many times, with children comparing the different blocks. There have been discussions of the different between 2D and 3D shapes and we have been looking for different shapes in the environment. Our class city is coming along, and children are adding buildings, cars, helicopters and trains every day. We have discussed what lies beneath a city and have created an underground passage for our city. We are coming to the end of term 1 and it’s been a wonderful term with lots of fun and exciting lessons. The children in Aikya are working enthusiastically to finish their project work based on the Second Great Story: The Coming of Life that have introduced to them. They worked in a group with their chosen partner to complete their research work. They were given a list of questions and they shared their work with their peers and the adults. It was a fun session where the children got to share their knowledge. We had a lesson on plant stories where we talked about how plants are classified, how they live, and how they make their own food. They also discovered the world uses plants in many different ways. 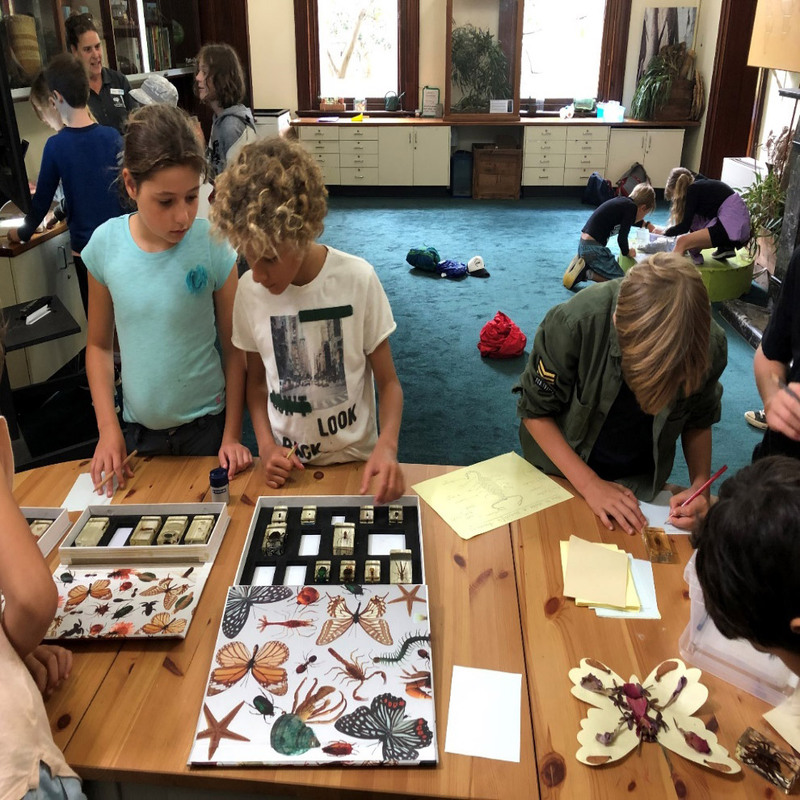 This lead to our recent excursion to Botanical Garden where the children got to investigate the life cycle of plants and learn how seeds are dispersed as they explore the garden. 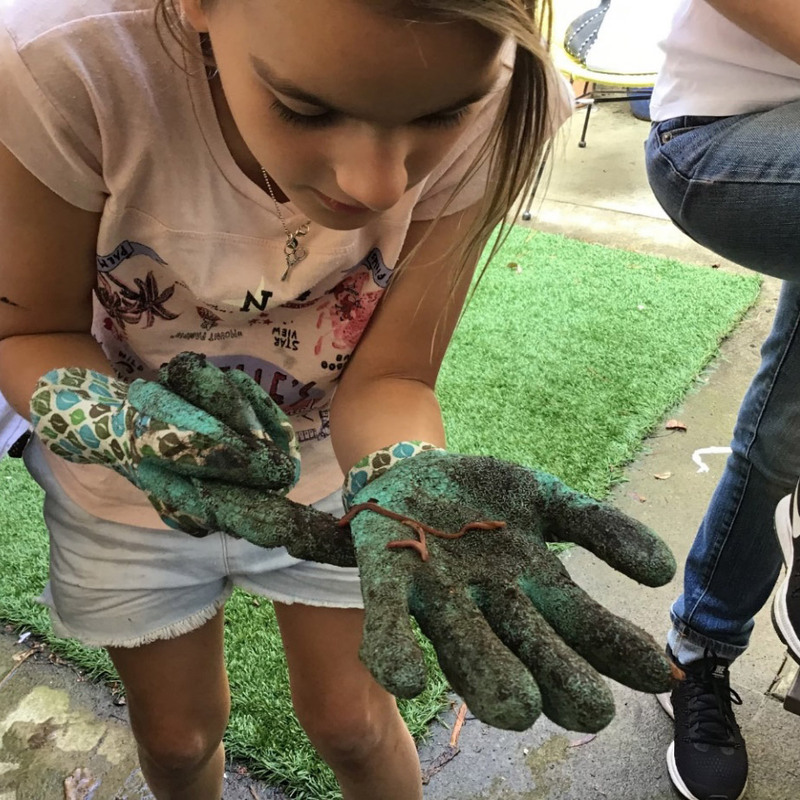 They also enjoyed a guided tour of the Plants with Bite exhibition of carnivorous plants at The Calyx, as well as a planting activity in preparation of growing their own plants at school and hands-on learning about seeds. 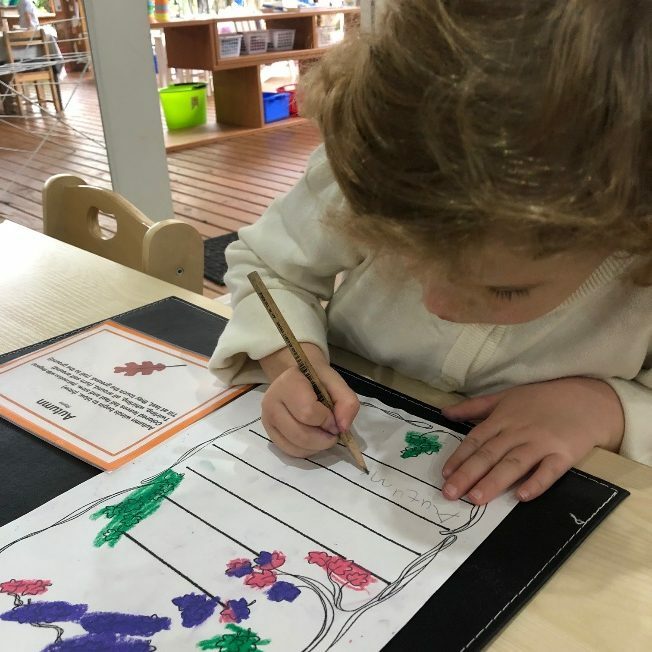 We will continue to do more planting activity in term 2. We would like to thank all the Aikya parents for their continued supports. We wish you a safe and happy Easter holiday. This week Isabel, Claudia, William, Toby and Billy are doing a Timeline of Life for a school in Nepal. 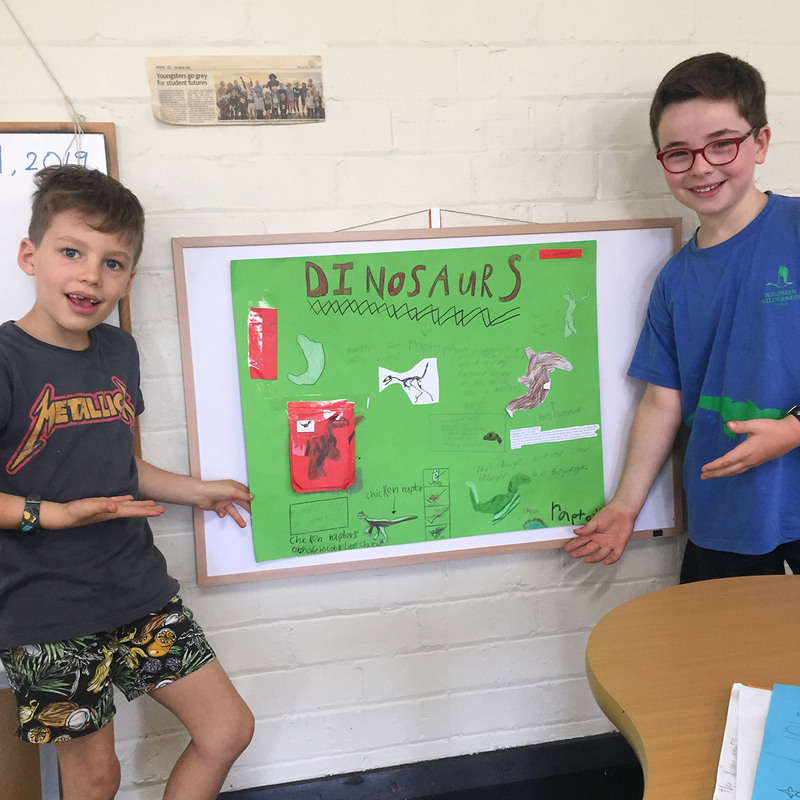 Leo, Xavier and Mena are doing a Timeline of Life too and they are giving it to Manly West school. 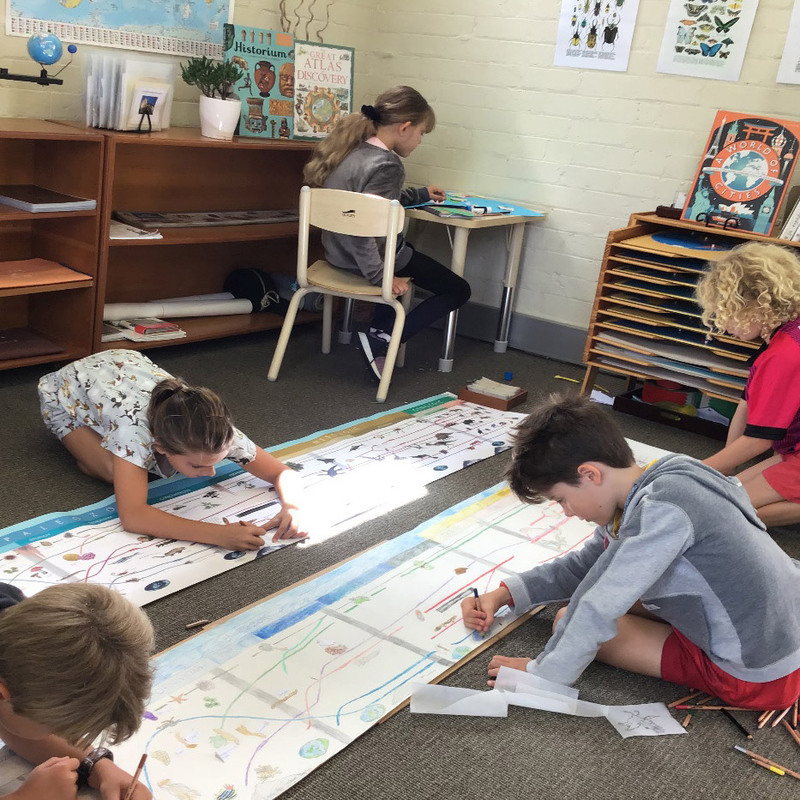 To make the Timeline of Life we are tracing the timeline on the timeline chart and drawing animals that lived in the different periods of time, like the Mesozoic Period when most of the dinosaurs lived. For gardening club, Toby ‘s mum, Emma has been teaching us how to grow plants which is really great fun. It is interesting watching the plants grow and looking them. 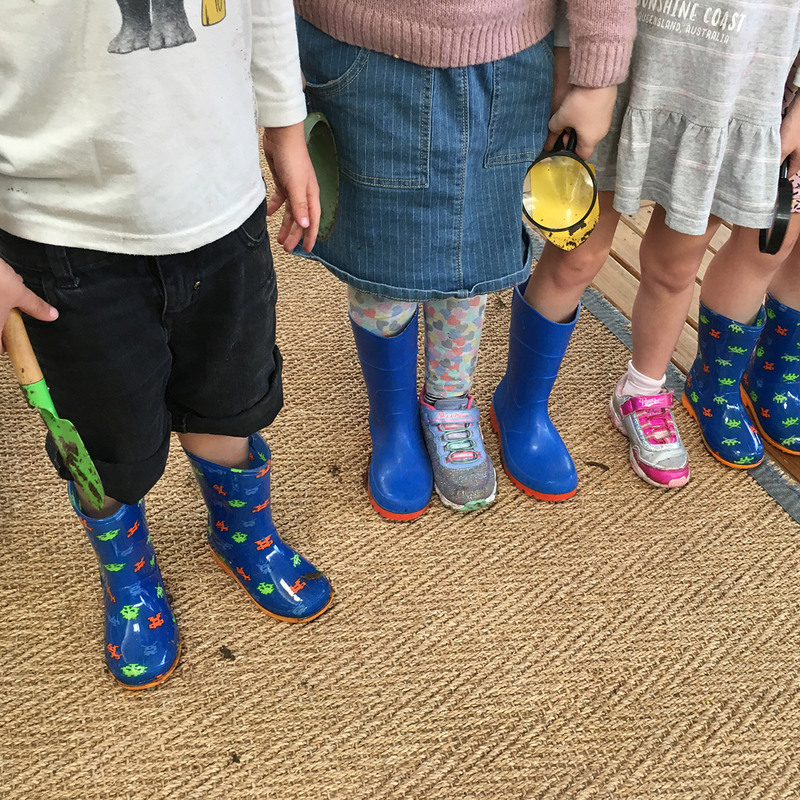 On Friday 5th April we had an excursion to the Royal Botanical Gardens. We did many fun activities there and we looked at so many interesting things. One of them was the Stick Insect which makes itself look like a leaf to protect itself from predators. One of the Stick Insects jumped onto Billy and he was screaming loudly and jumping around. (we had his permission to write about it). We had a fun time and really enjoyed the excursion. Your feedback has helped us put together our Vacation Care program these holidays. 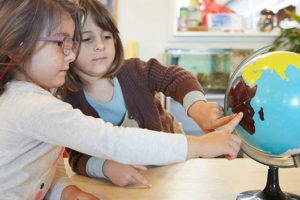 These programs are created based on feedback from survey results, children’s input and staff interests. The educators have organised daily planning sheets, risk assessments and Vacation Care summary sheets detailing all events of the day. Parent input is highly appreciated as part of this process, as such please ensure you complete Vacation Care surveys when distributed. 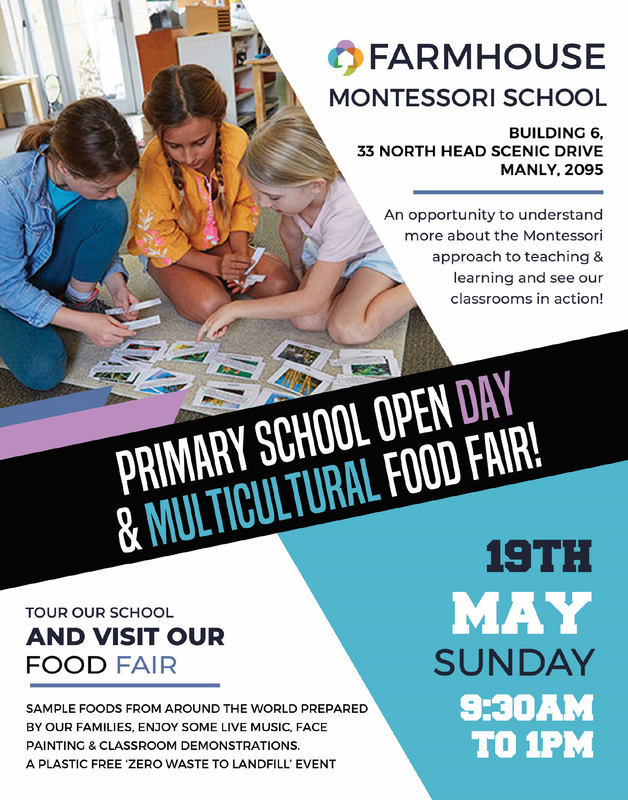 Don’t forget to make your bookings and we will see you there! 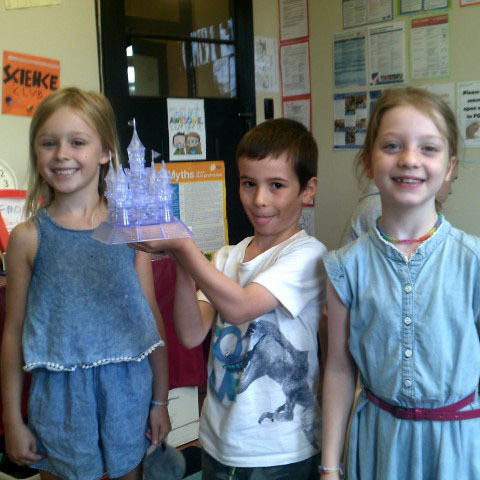 This week the children have been really challenged in building a 3D puzzle of a castle. Over the course of the week, doing a little bit each day, we finally completed the puzzle and it looks awesome. 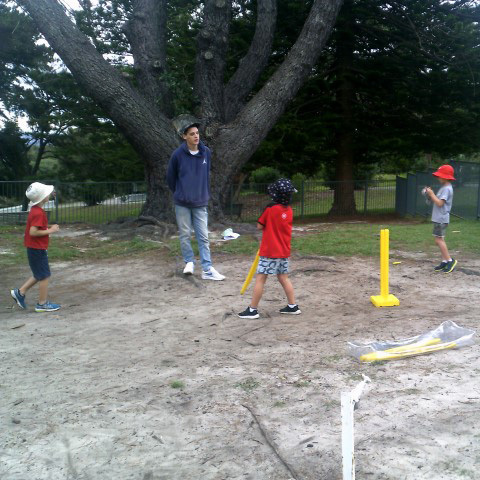 Outside this week, the children continue to enjoy playing cricket. Sometimes though, due to small numbers, it’s a little difficult to play. So, the children have been learning French Cricket, which is a great alternative if there are not as many people. 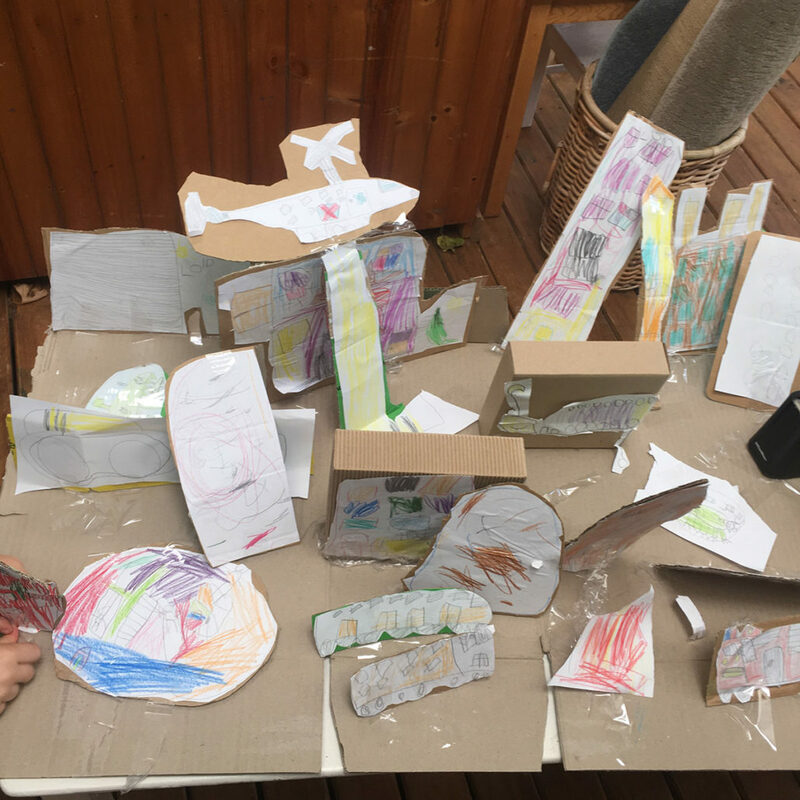 The children absolutely enjoy making cubby houses and get creative in not only building them, but also decorating them. Using the furniture, blankets and pillows, these cubbies look good enough to live in. For more details and photos please request to see our journals located in the Centre. In a large bowl, dissolve yeast in warm water. Add the sugar, salt, oil and whisk! Add 3 cups flour. Mix until smooth. Stir in enough remaining flour, 1/2 cup at a time, to form a soft dough. Place in a lightly oiled bowl, turning once to grease the top. Cover and let rise in a warm place until doubled, about 1-1/2 hours. Squish dough down and shape into loaf pans, roll into bread rolls or flatten into pizzas. Cover and let rise until doubled, 30-45 minutes. Bake at 180°C for 30-35 minutes or until golden brown and bread sounds hollow when tapped. Remove from pans to wire racks to cool.